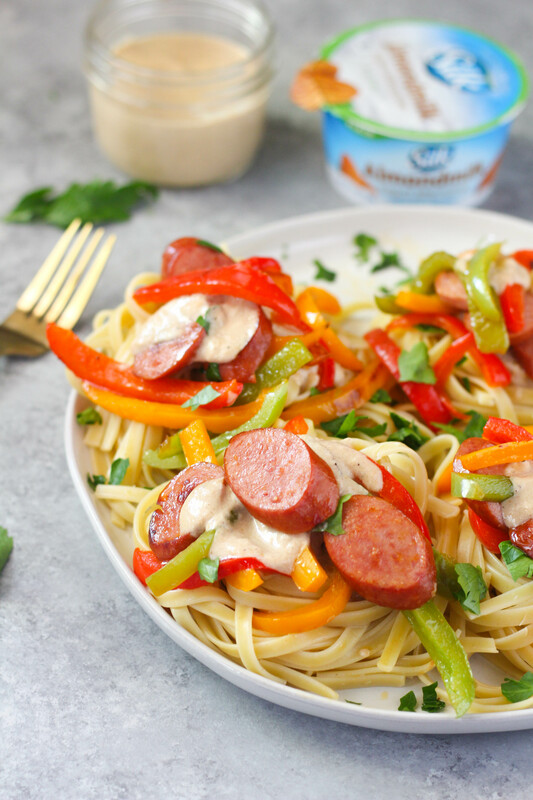 I’m back today with a Lightened Up Fettucine Alfredo sauce for you. This year I have been trying to eat better for me meals. Sometimes it goes great and sometimes I fall off the wagon. But I’m making progress and take it one day at a time. This recipe I would consider a non-scale victory because the taste is great and I don’t feel guilty eating it. One thing I miss and try eat sparingly is pasta. I love me some fettucine alfredo but it is so rich. 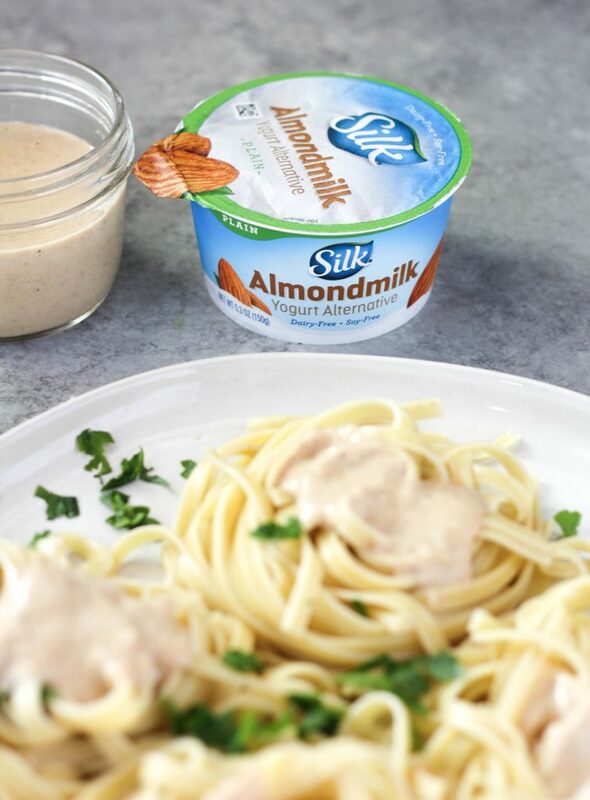 Now with Silk Vanilla Almond Dairy-Free Yogurt Alternative, I can have a lightened up version whenever the craving strikes me. Silk is dairy-free and lactose-free which is such a plus for me. Did you know that Silk has a Progress is Perfection campaign that fights the notion that “extreme” is the only path to being healthier. I love that they understand that small victories are still victories. Download the Ibotta app and get money back on certain Silk products. Who doesn’t love saving money? 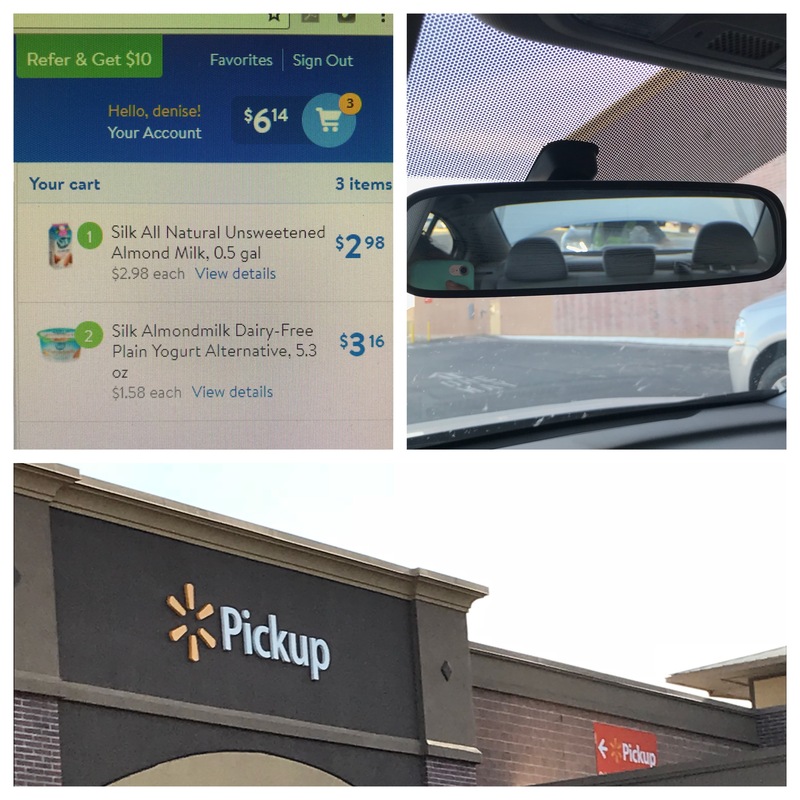 Side note here – have you tried Walmart’s Online Grocery Pick Up service yet? I love this service. You can place your order online, set a time then go to the designated area, let them know you’re there and they bring out the groceries and put them in your car. Easy peasy. I got all my groceries for this recipe using this service. It’s my new favorite thing. 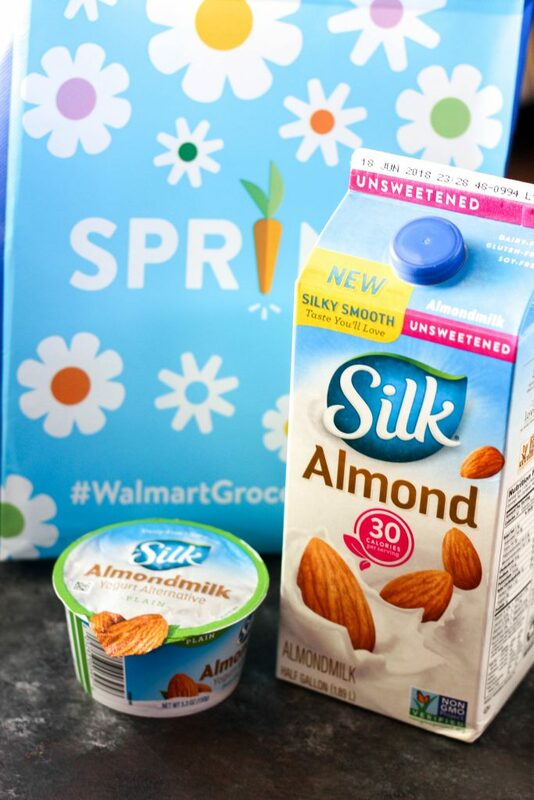 Be sure to check out the Silk website to find stores near you that carry the yogurt and their Silk Unsweetened AlmondMilk. It’s my favorite for overnight oats – see some of my favorite recipes here. 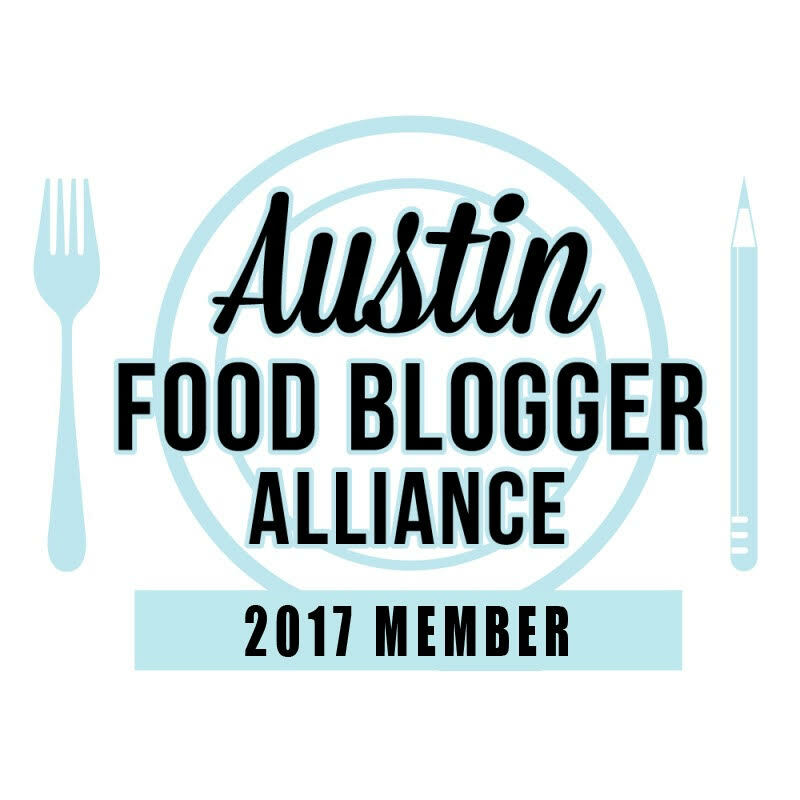 You can follow them on Facebook, YouTube, Instagram, Twitter and Pinterest to get more recipe ideas. 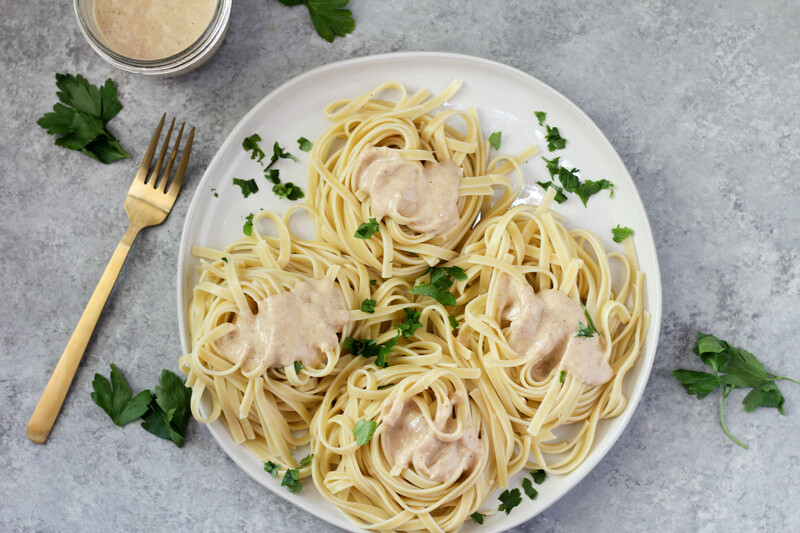 Lightened Up Fettucine Alfredo sauce lets you have creamy pasta sauce again without the guilt. Serve with turkey sausage and peppers to build up the protein. Melt one tablespoon butter in a large saute pan. 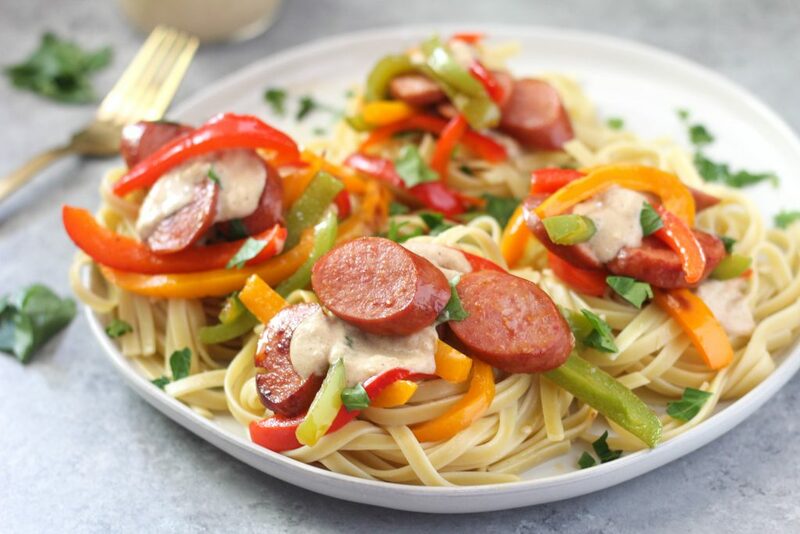 Add sausage and bell peppers. Cook until browned. Remove from pan and place on a paper towel lined plate to drain. Boil fettucine noodles according to package instructions. In the same saute pan, melt remaining two tablespoons of butter. Add garlic and let cook for 1 minute. Add chicken broth and bring to a simmer. Remove pan from heat and let cool for two minutes. Add yogurt and whisk together. Season with salt and pepper. Add parmesan cheese and whisk together until cheese is melted. Place back on low heat if cheese is not melting. Serve by placing noodles on a plate and tossing with sauce. 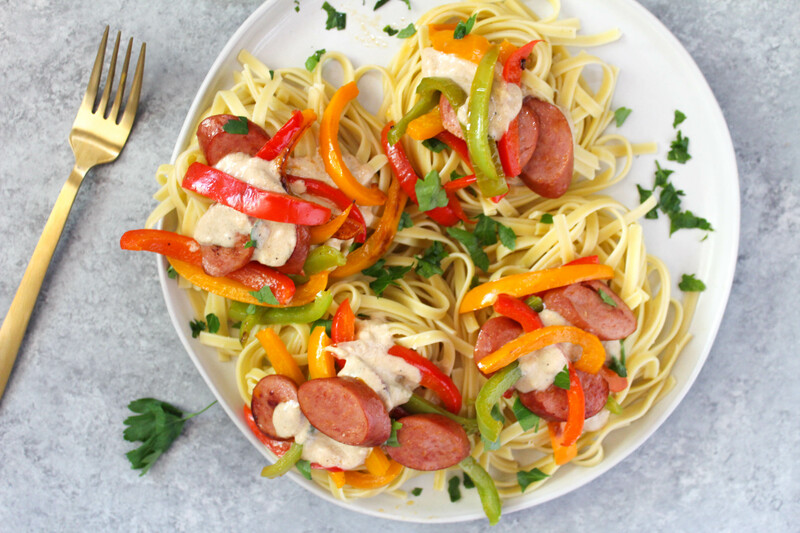 Top with sausage and peppers.